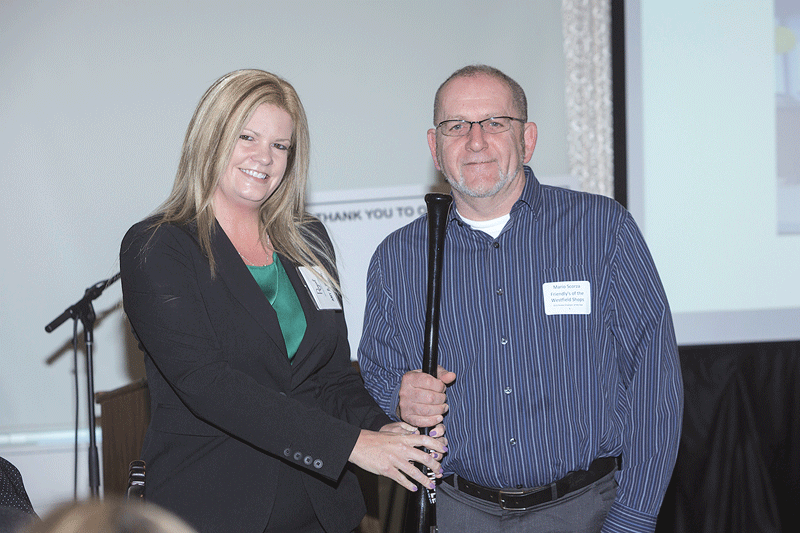 Human Resources Unlimited (HRU) recently celebrated its annual Employer Recognition & Awards Breakfast at Springfield Country Club. 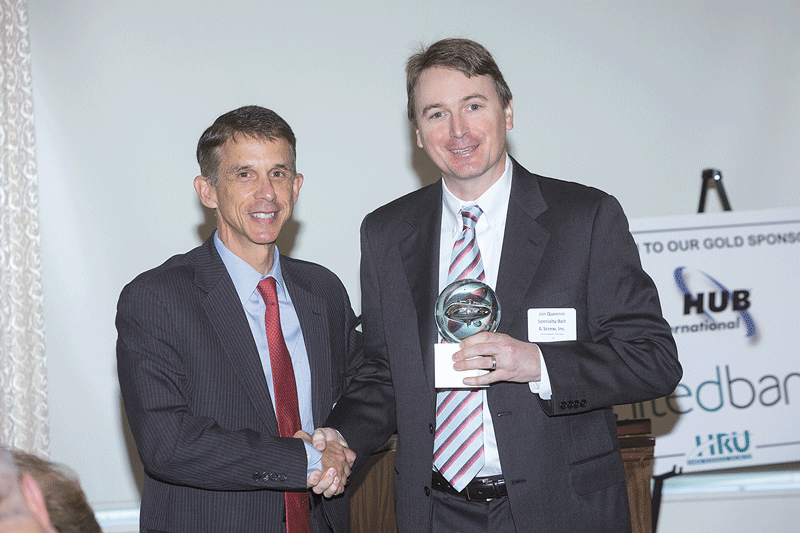 Dan Flynn, United Bank’s COO for Wholesale Banking (left), presents HRU’s 2016 Employer of the Year Award to Specialty Bolt & Screw Inc.; accepting the award is Specialty COO Jon Queenin. 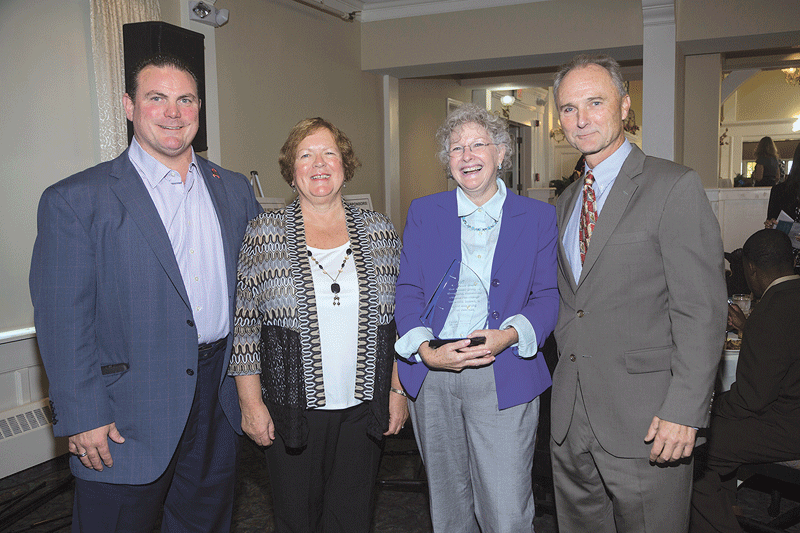 Timm Marini (left), president of HUB International, Carol Tourangeau (second from left), and HRU President Don Kozera present HRU’s 2016 Armand Tourangeau Volunteer of the Year Award to Cheryl Rumley of Apex Healthcare. 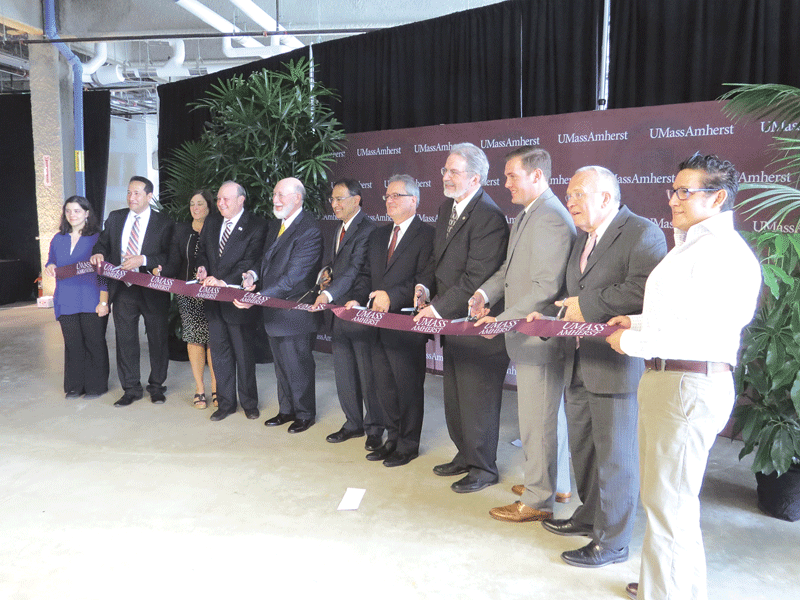 On Oct. 21, Massachusetts life-science industry leaders, state Senate President Stan Rosenberg, UMass Amherst Chancellor Kumble Subbaswamy, and other dignitaries took part in a launch of the university’s Institute for Applied Life Sciences (IALS), including a ceremonial ribbon cutting. Harvey Lodish, scientific advisor to Genzyme Inc. and Millennium Pharmaceuticals in Cambridge, offered the keynote talk. 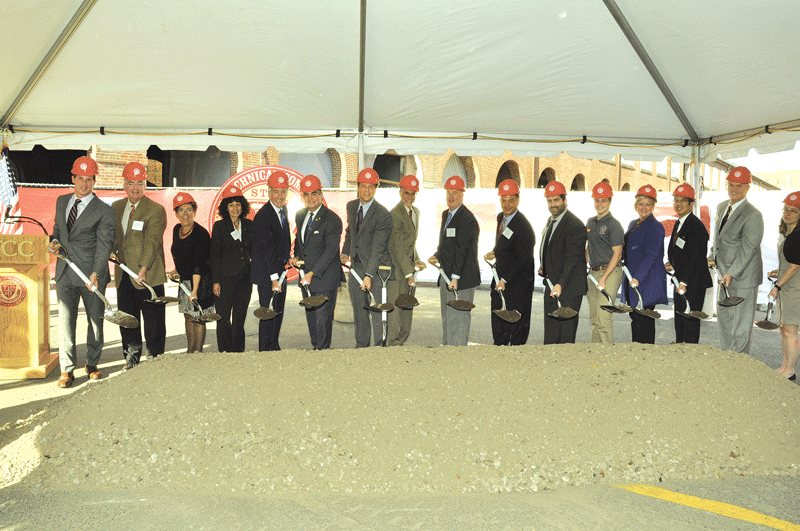 IALS was initially funded by a $95 million investment by the Massachusetts Life Sciences Center together with more than $55 million in investments by the university. To date, more than $20 million in IALS-related sponsored research awards have been secured. 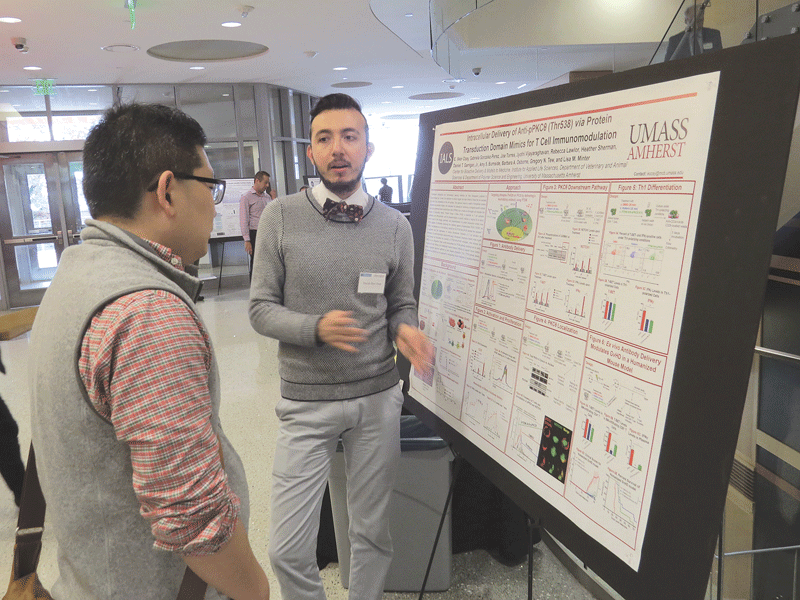 The investment in state-of-the-art equipment is designed for use not only by UMass faculty researchers but also industry and academic partners. 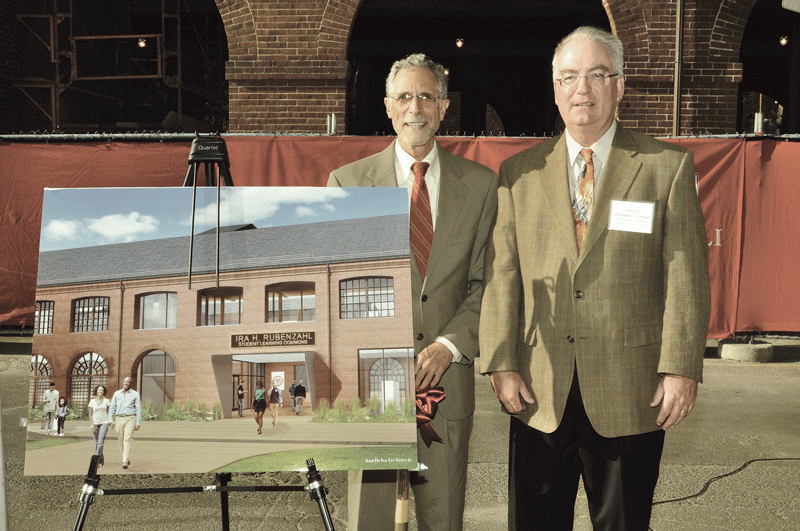 Springfield Technical Community College (STCC) hosted a groundbreaking ceremony on Oct. 18 at campus Building 19, which will be renovated and transformed into the Ira H. Rubenzahl Student Learning Commons, set to open in the fall of 2018. 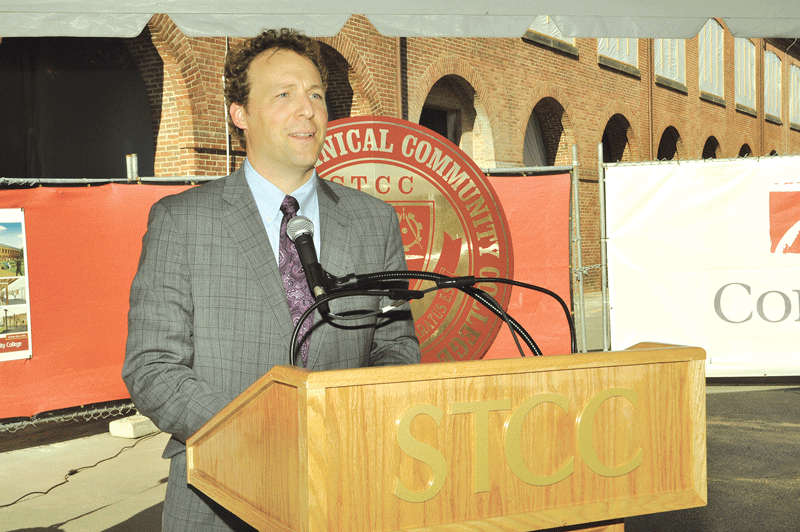 STCC President John Cook speaks at the groundbreaking, which drew a standing-room-only crowd. 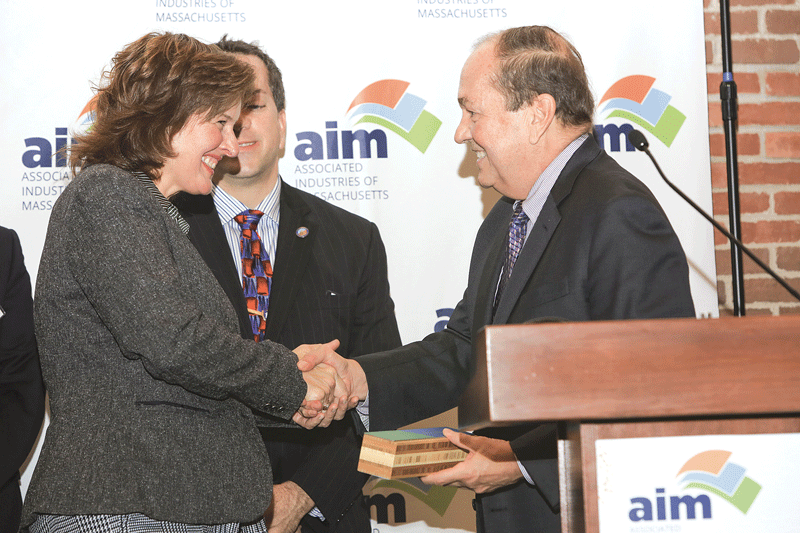 Associated Industries of Massachuetts (AIM) handed out four awards on Oct. 20 in a celebration of Western Mass. businesses at the Wood Museum of Springfield History. 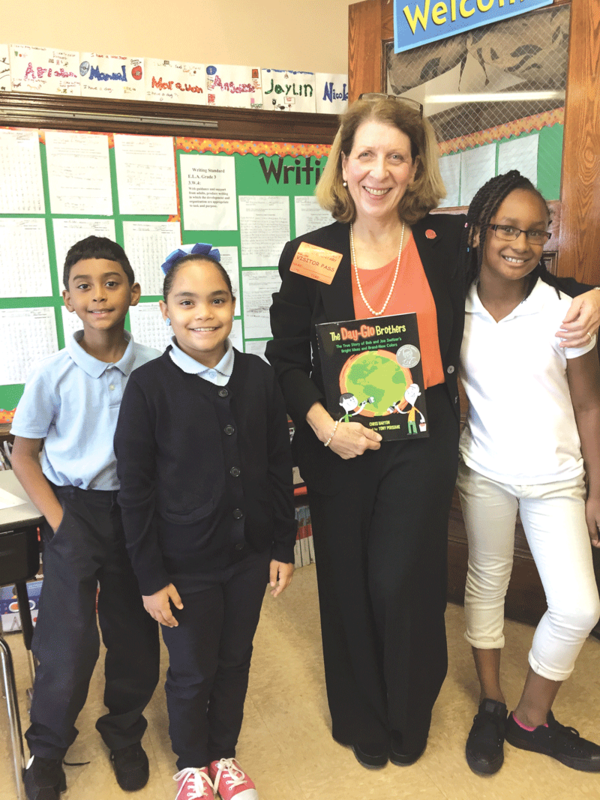 Pictured above: AIM President Richard Lord presents Cinda Jones, president of W.D. Cowls Inc., with the inaugural AIM Sustainability Award, which was also given to PeoplesBank. Meamwhile, AIM honored Smith & Wesson and Valley Venture Mentors with the 2016 Next Century Award.